Teaching With Love and Laughter: Interactive Notebooks in Kindergarten? You bet! 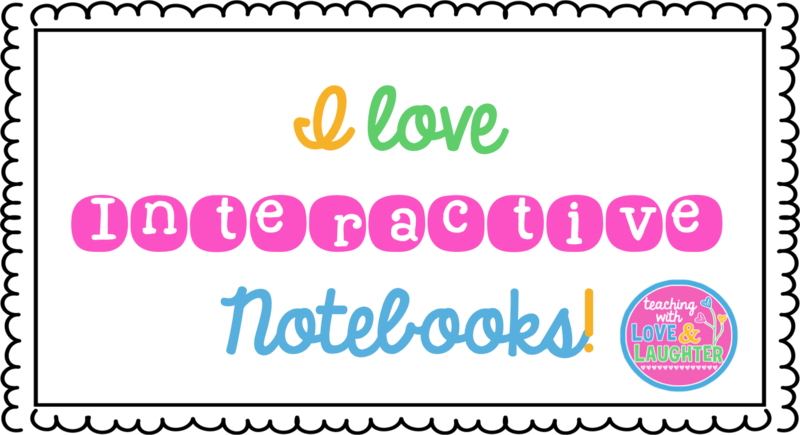 I am a HUGE advocate of using interactive notebooks. I've written numerous blog posts about what a valuable learning tool they are and how engaged my students are while working in their notebooks. 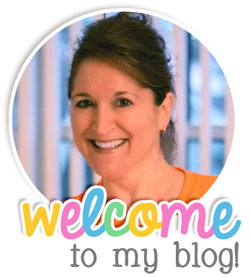 Click here to see my previous blog posts. But, no matter how many times I tell other teachers how wonderful they are, a lot of kindergarten teachers still feel hesitant about incorporating them in their classroom because of all the cutting and gluing involved. And, rightfully so. 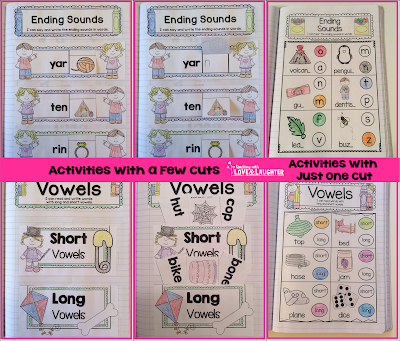 If you use activities with lots of small pieces to cut and glue, then I would be turned off too. 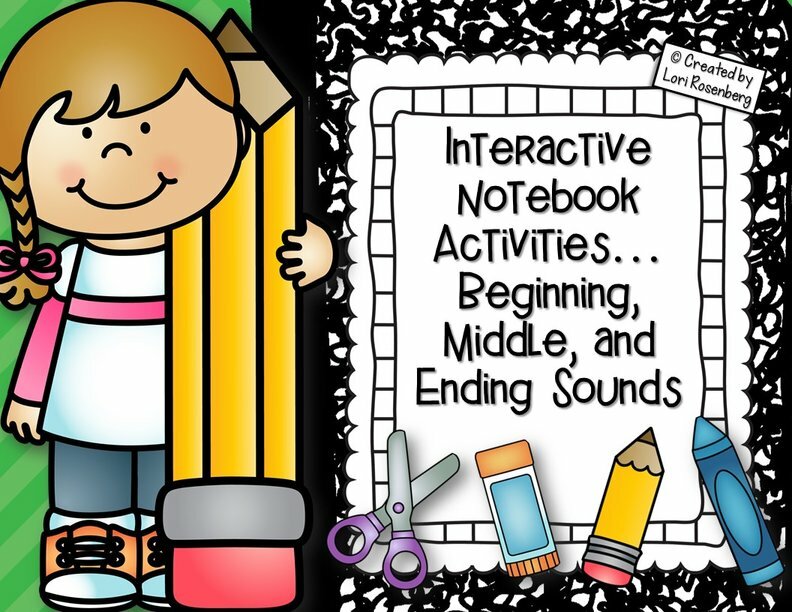 When searching for interactive notebook activities for our youngest learners, it is very important that you find ones that do not have a lot of cutting and gluing. 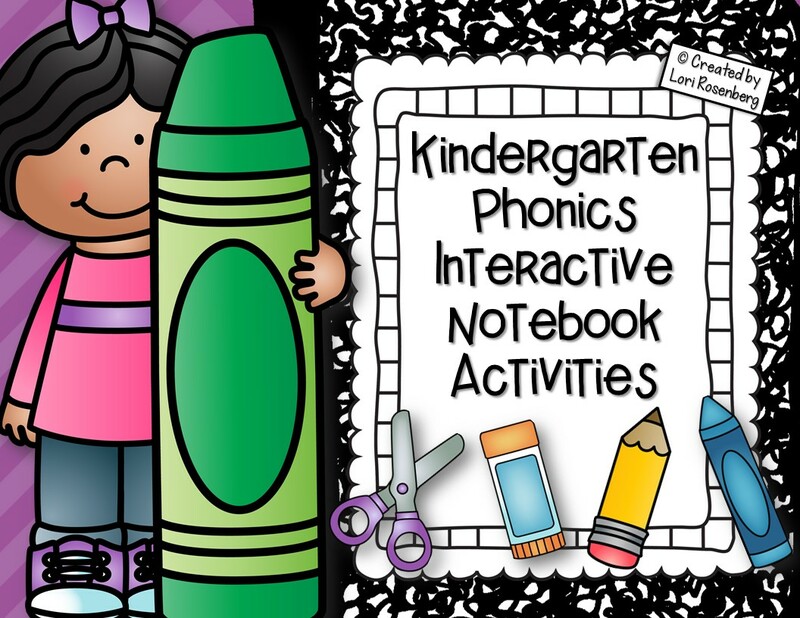 I created phonics and sight word interactive notebook activities for my kindergarten students last year, and used them very successfully in my kindergarten classroom. 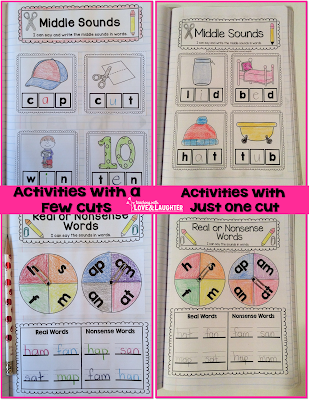 I purposely created activities that do not have too much cutting. 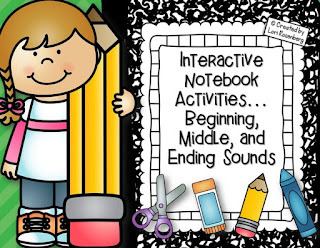 Even though the activities I created do not have a ton of cutting and gluing, I have talked to some teachers who are still hesitant to use interactive notebooks because ANY amount of cutting and gluing turns them off. 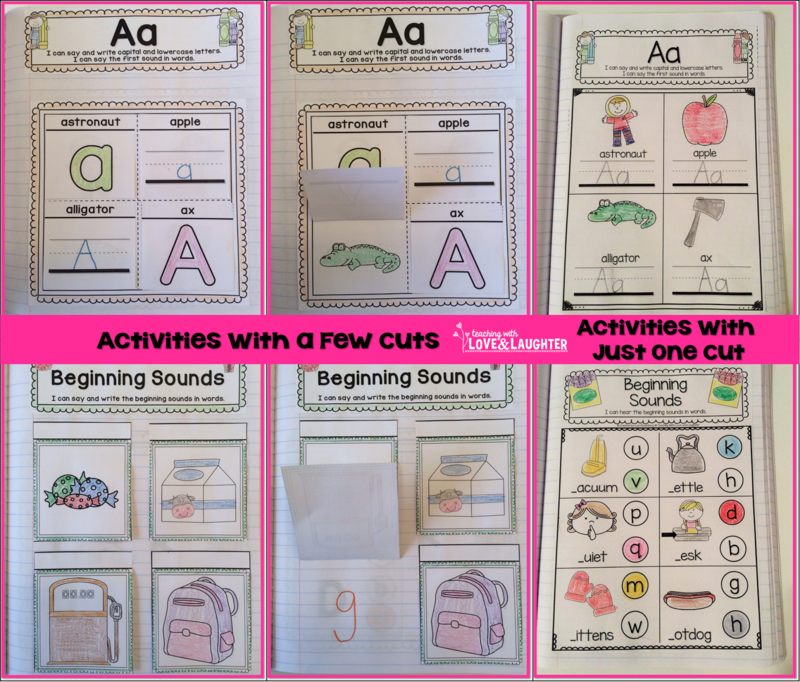 To help sway my teacher friends to take the plunge, I added to my existing activities, a whole bunch of JUST ONE CUT activities. That's it! 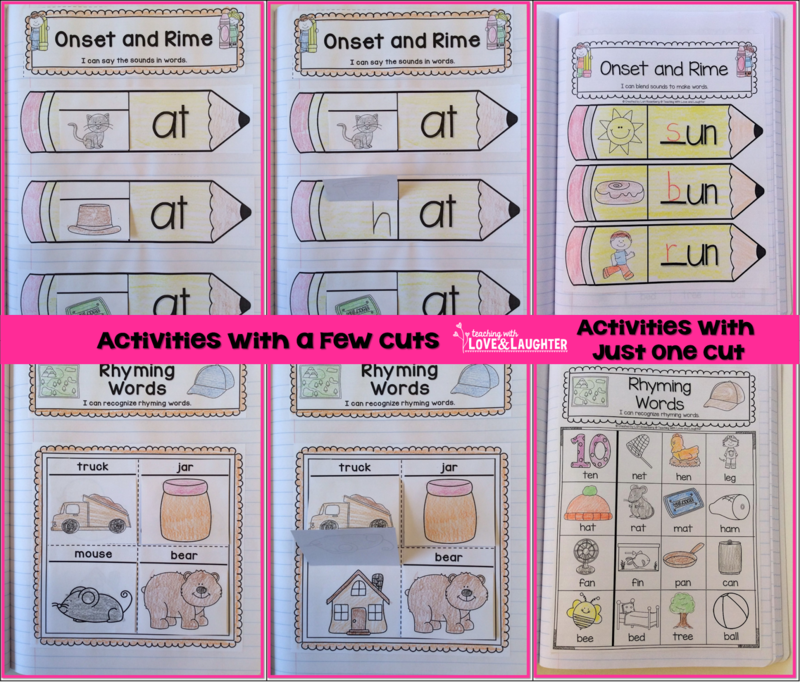 JUST ONE CUT! 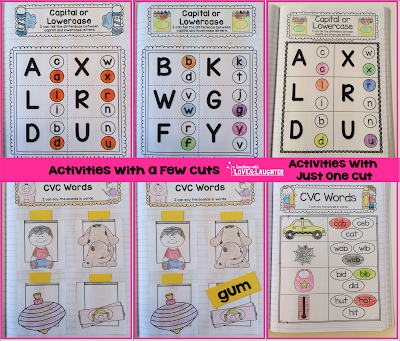 After the children complete the fun activity, there is JUST ONE CUT and then they glue the sheet into their notebook. See the BIG dotted line around the label and activity? That's the only cut the children need to make. 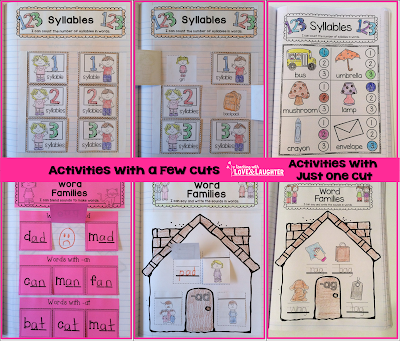 No small pieces and no intricate cutting. 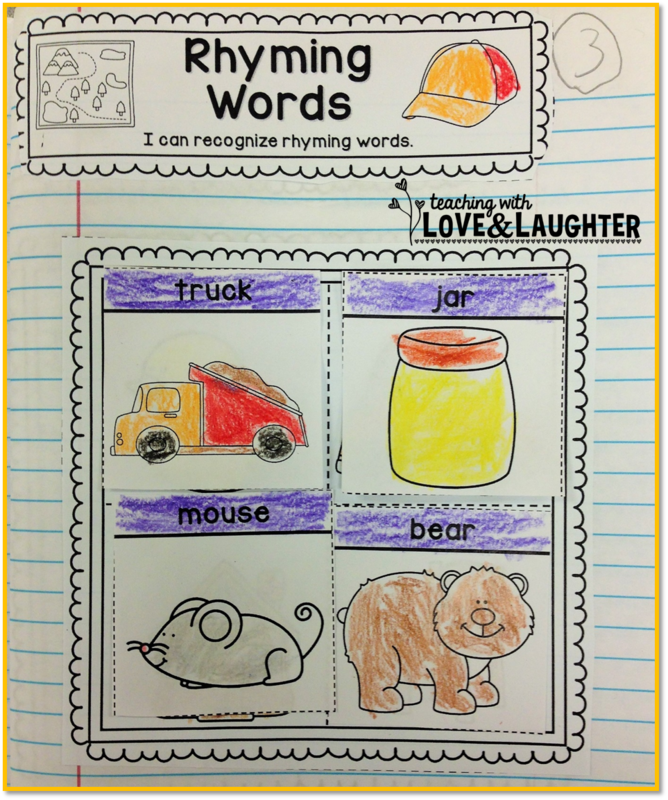 Click on each image to enlarge to show detail. 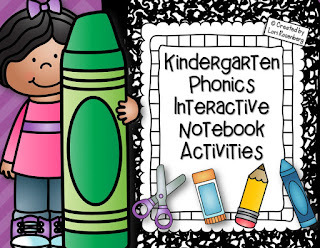 There's no doubt that flaps and foldables are engaging and exciting. But now you have a choice. 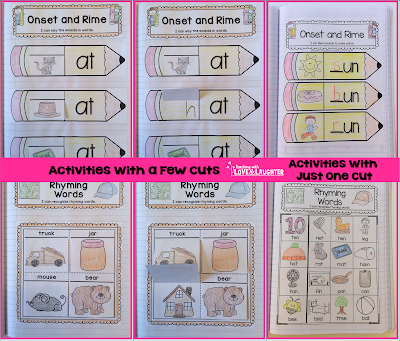 On days you are pushed for time, an activity with just one cut may be all you have time for. 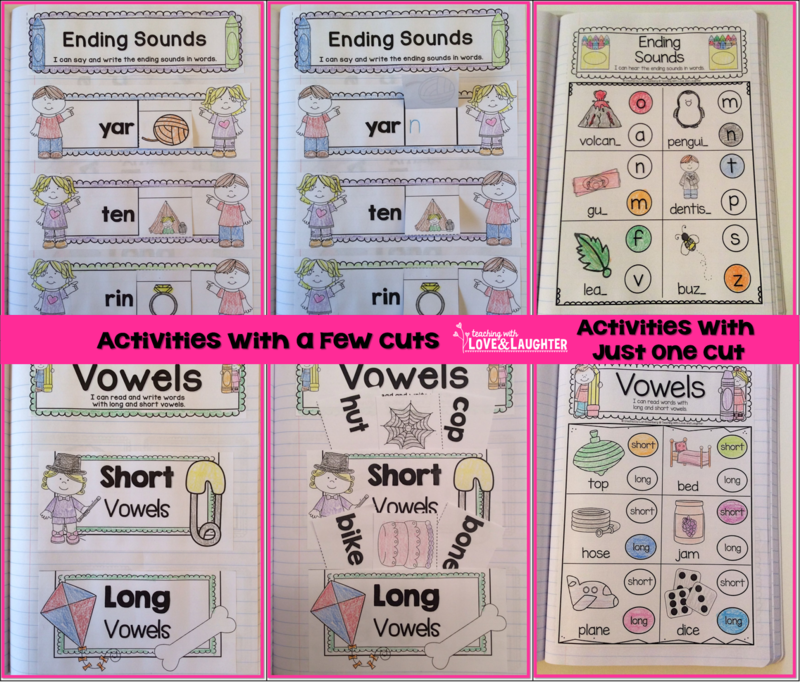 I recommend mixing it up and doing flaps and foldables on some days and the just one cut activities on other days. 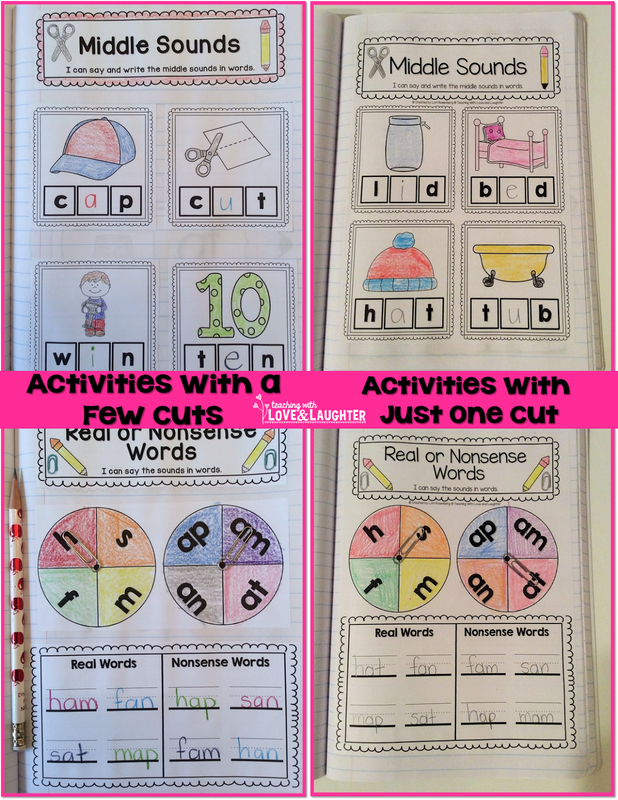 All the skills in my Kindergarten Phonics Interactive Notebook Activities pack contain activities with just one cut and with a few cuts. 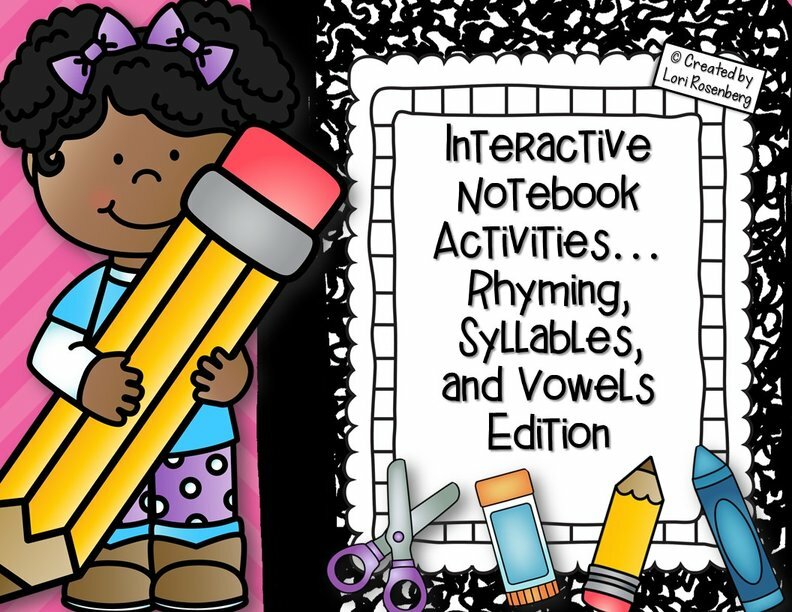 Just pick and choose what you have time for. 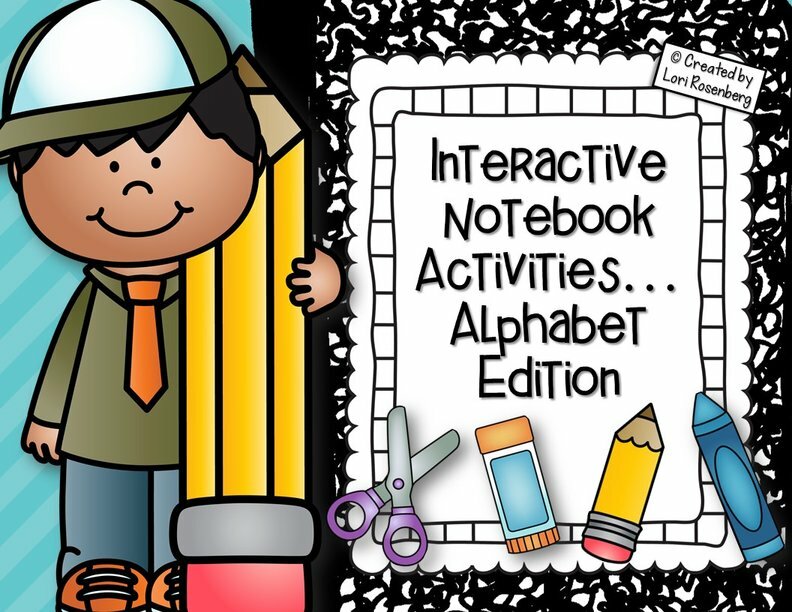 You can also differentiate if your students are working on these activities independently. 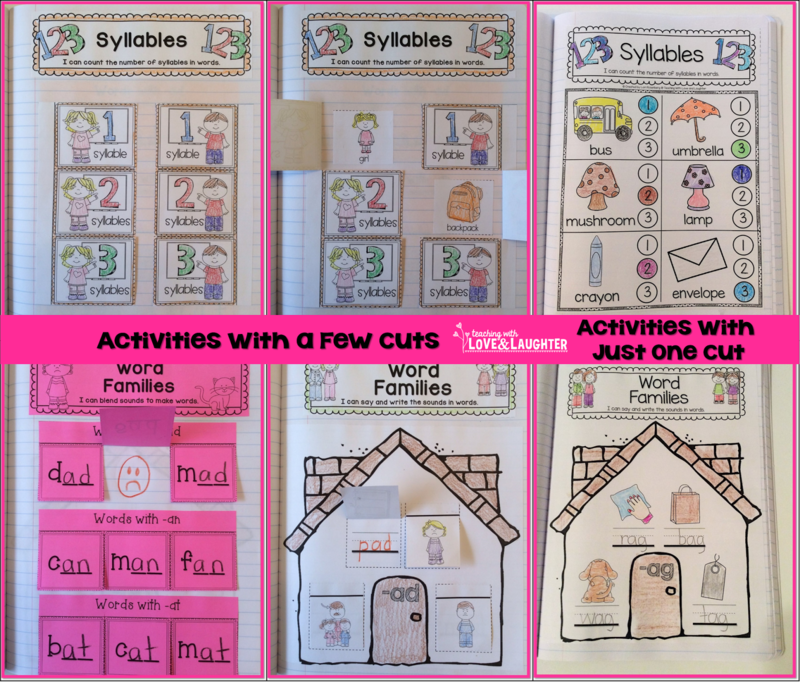 Those who can handle a little more cutting and gluing can do the activities with multiple cuts and those who can't, can do the activities with just one cut. 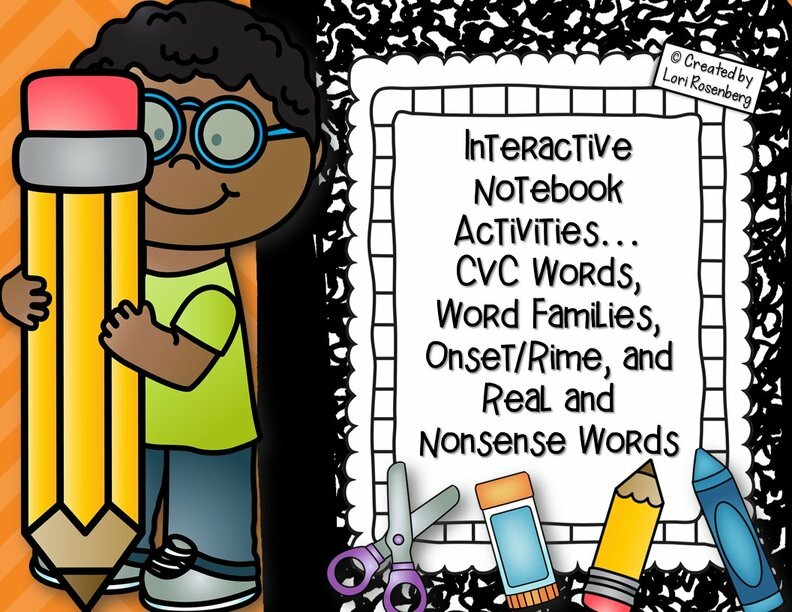 You can even let the students decide which activity to complete. 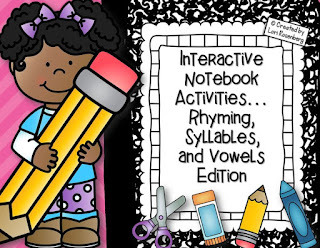 Now, there's no excuse not to jump on the interactive notebook bandwagon! Too much cutting? Problem solved! Not enough time? Problem solved! 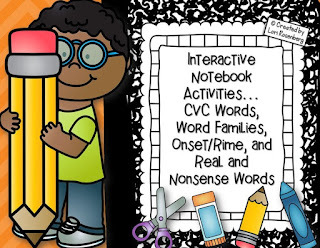 If you're ready to commit, and watch your students excitedly work in their notebooks, while staying engaged, then click on the links below! 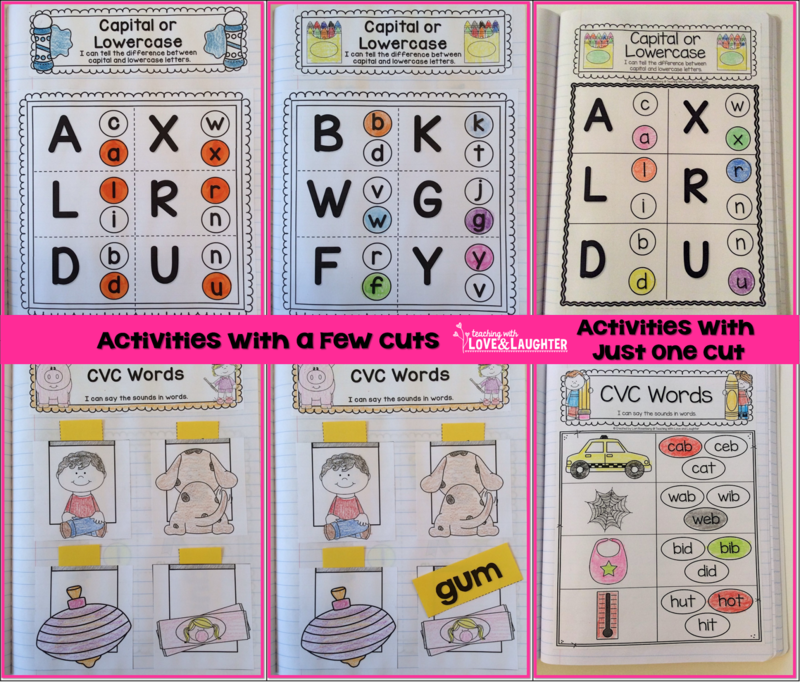 If you already purchased any of my activities, be sure to download them again and get the JUST ONE CUT activities for free! Click here for the BIG Bundle of all phonics activities. 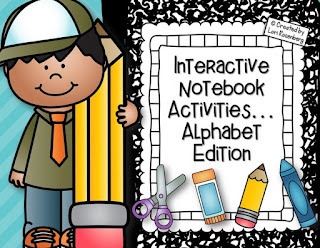 Click here for just the alphabet activities. 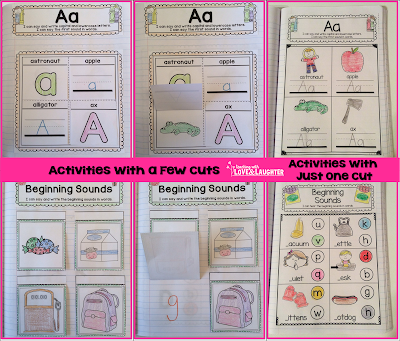 Click here for just the beginning, middle, and ending sounds activities. 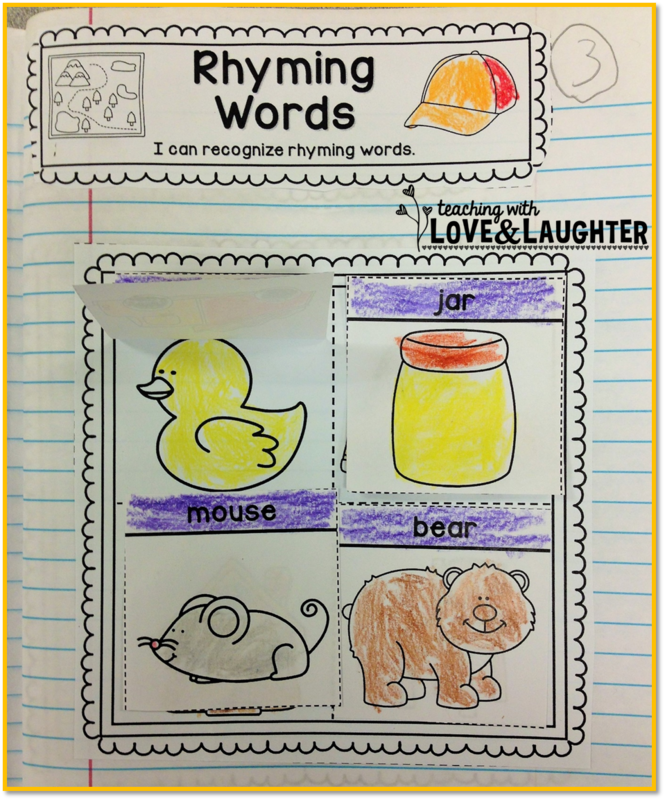 Click here for just the rhyming, syllables, and short and long vowels activities. 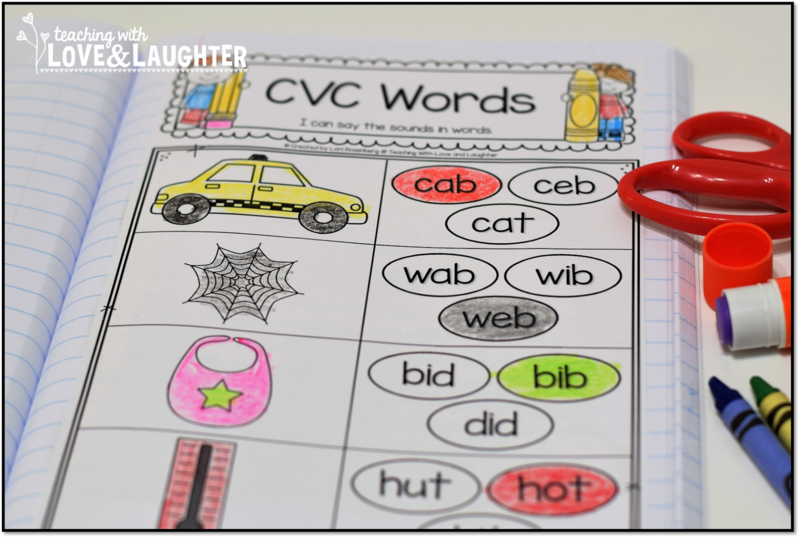 Click here for just the CVC word, word families, onset and rime, and real and nonsense words activities. And, if you're new to interactive notebooks, don't forget to read all my blog posts about this wonderful and invaluable learning tool! 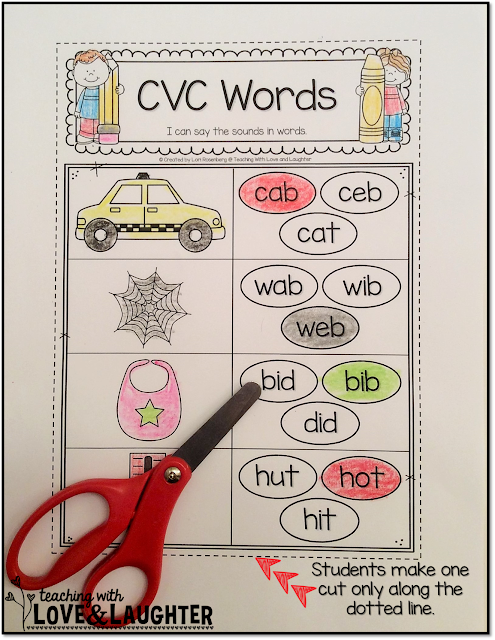 Just click the image below to get started reading!